The following pages give riders all the information needed to make the day run as smoothly as possible. We’ll keep you informed of all news running up to the big day by email; but you should always check our Twitter / Facebook for on-the-day information. Ample parking is available in the various public car parks in the town centre. Please check the notices as the county council now tend to charge, even on Sundays. The nearest car park to the Start/Finish is North Road Clinic – SY23 2EG. The HQ will be open from 6am for rider chip & number collection and will stay open until the final rider arrives safely at the finish line. Please turn up to the event HQ with enough time to collect your number, timing chip and make your final preparations. Riders need to make sure that they have attached their rider number and timing chip as described in the instructions provided, and then make their way to the start line. Before you are set-off in your groups, a quick safety speech is given. The departing group sizes will be no more than 15 riders. If you wish to start with your friends, please group together in the waiting area as the announcer brings each group forward. Start times for each route are listed on the routes page. Groups of up to 15 riders are set off every 5 minutes. Please turn up to the event HQ with enough time to collect your number, timing chip and make your final preparations. Riders follow the route via our distinctive signs at their own pace. We strongly advise that you bring a map or GPS device along to support the arrows as a back-up. You can access the routes via Strava, available via our Routes page, for syncing to your GPS device. Feed stations will provide isotonic drinks from our nutrition partner Secret Training, water and Welsh food products that are appropriate to sportive riding. The food we provide is there to supplement your own feeding strategy. All routes have at least one feed station. Cawr – 94 miles – Trisant climb, after Llanfihangel y Cruedden, 1 miles before junction with A4120. 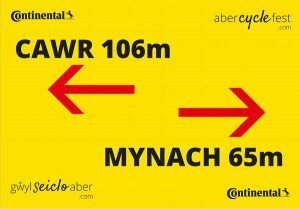 Mynach – 50 miles – Trisant climb, after Llanfihangel y Cruedden, 1 miles before junction with A4120. Our official event sponsors – Continental Tyres – will provide technical assistance on the road during the sportive. Three service vehicles will be driving the route all day to assist with punctures and of course, the Conti guys will also assist with other mechanical matters and hope to get you back on the road asap. Look out for the Conti service vehicles (you can’t miss them) and stick your hand up if you need them to stop! Please pull over to the left hand side of the road if you have a breakdown and try to manouver to the nearest open space so that the service vehicle won’t need to block the highway. What if I break down, or am unable to continue with the ride? An emergency phone number will be located on the back of your riders number. Please ring this phone number if you are in difficulty, and we will send assistance to help you get going again. We will also be operating a broom wagon on the day. However, we will not be able to guarantee a quick pick up, so every effort should be made to ride. Below is a table with the benchmark times for all three courses, with average speeds. The times below are used as a guide only. You should always allow enough time for your own ability to complete the route. Due to the length and difficulty of the Cawr route, we will be operating a cut-off time in the village of Pontrhydygroes, which is the point on the route where the Cawr and Mynach routes split (37 miles). Any rider averaging less than 12 mph, means a cut off time of 11.30am after which, cyclists will be asked to follow the 65 mile Mynach route (also allowing for 25 minutes at the prior feed zones). We urge any rider who may feel that they will be close to this cut-off time, to start at 8am prompt. Our marshals, outriders and sweep vehicles will not cover riders out on the Cawr route after this cut-off time. When you arrive back at the finish on Aberystwyth Promenade (Bandstand), make sure you ride over the finish line (Inflatable Continental Arch), where you will be greeted by our team. Results will be given via SMS message shortly after you have finished and the full list of finishers will be on this website later in the evening. Do let our team know if you changed your mind and rode a different distance option to that which you originally entered. And finally, Well Done on completing the Welsh Wild West! We will also be providing all competitors with a meal after the event (choose from Pasta or Cawl) plus drinks. 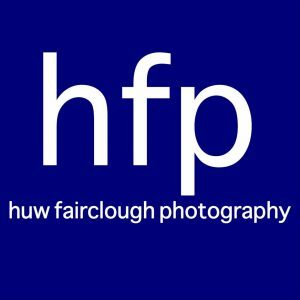 You can also check out our previous Welsh Wild West galleries via the link above.